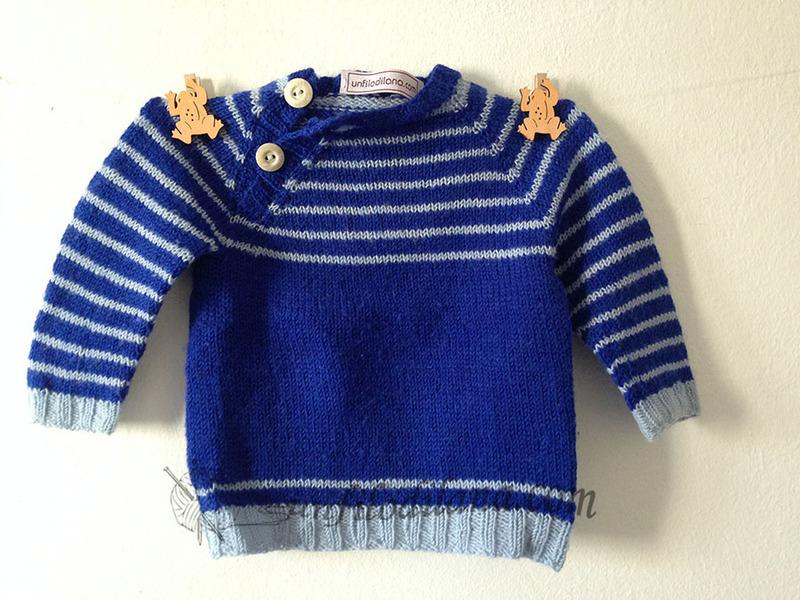 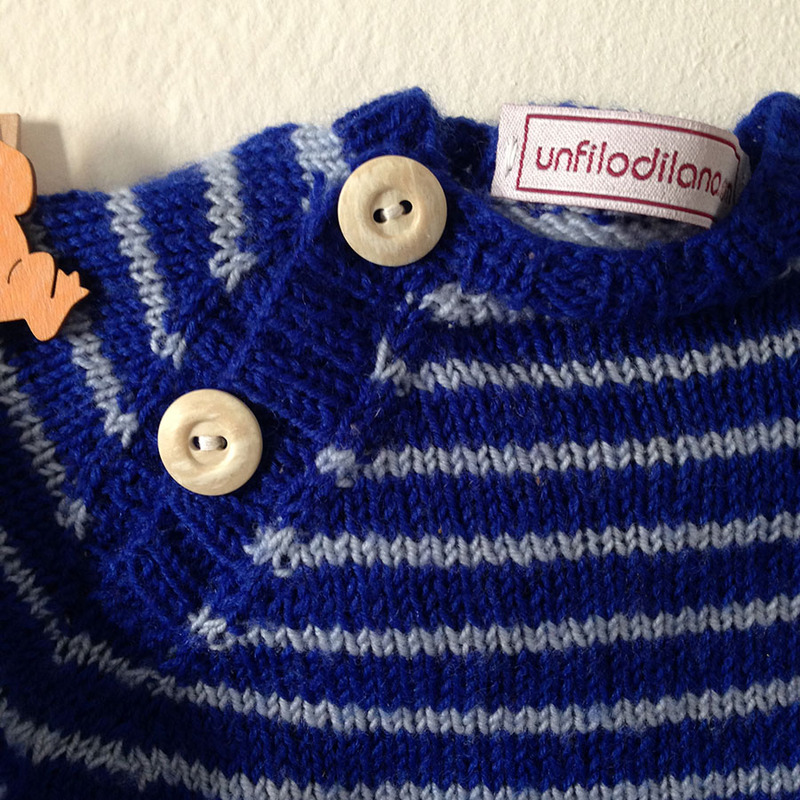 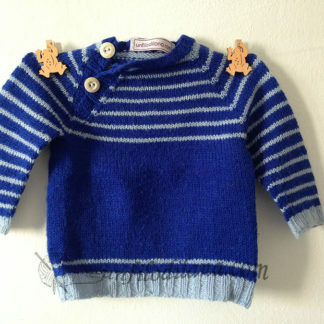 This beautiful sweater is made of pure blue wool with dark blue stripes. 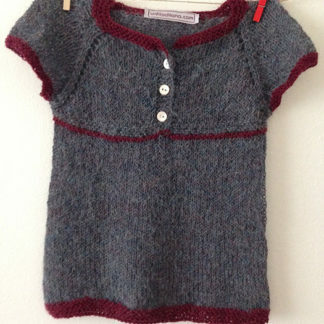 It is worked top-down without seams, open on a raglan of the front and closing with two buttons. 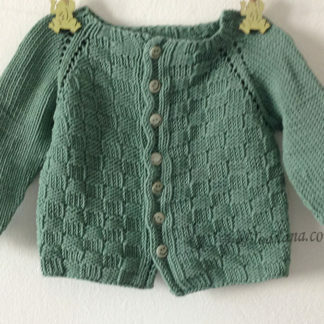 The size is for 6 months.